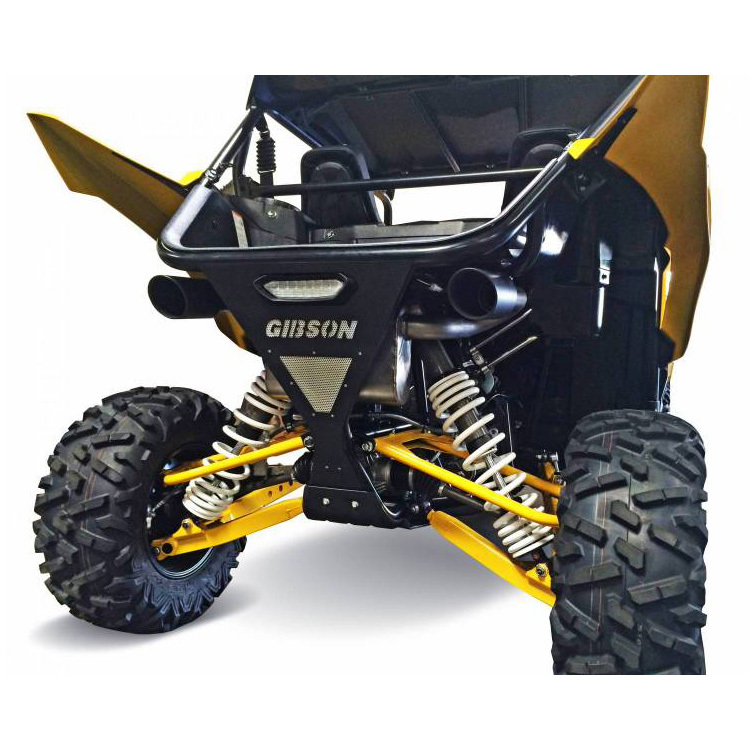 When you purchase an industry changing ride, you need the industry changing looks and sound of a Gibson Performance Dual Exhaust 2016 Yamaha UTV. As soon as you begin to run your Yamaha YXZ 1000R up to the ground breaking 10,500 RPM redline, you will instantly feel the added 6HP and notice the unique sound of a highly tuned performance machine. The Slip on Gibson side x side exhaust will include a head pipe connector and a full muffler assembly exiting on both sides with large 4-in. 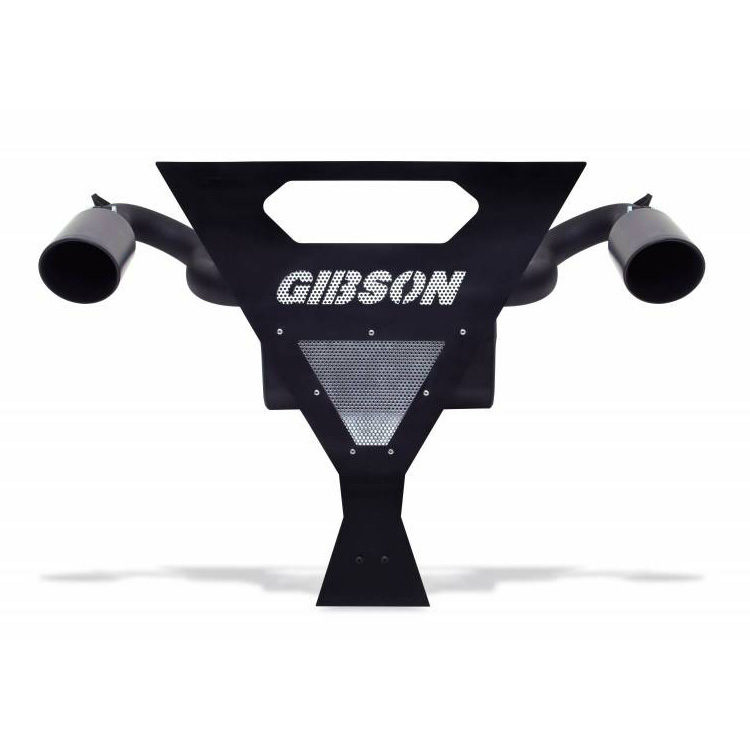 Intercooled exhaust tips. Offered in a high quality stainless steel and utilizing our high flow CFT non packed performance muffler; Also equipped with OHV approved spark arrestors. Furthermore, this is a 100% bolt on system using all the factory OEM mounting points to ensure long lasting durability. 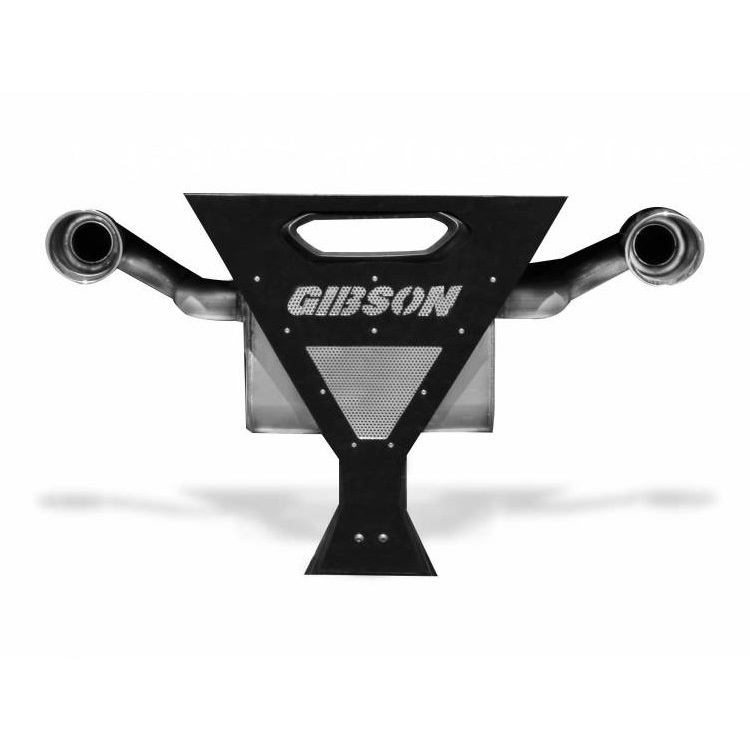 Also included is a custom fitted and designed rear beauty plate that encompasses your factory reverse light. Finally, all of this compliments the Yamaha styling and proudly lets everyone know you have great taste in performance, looks, and sound.